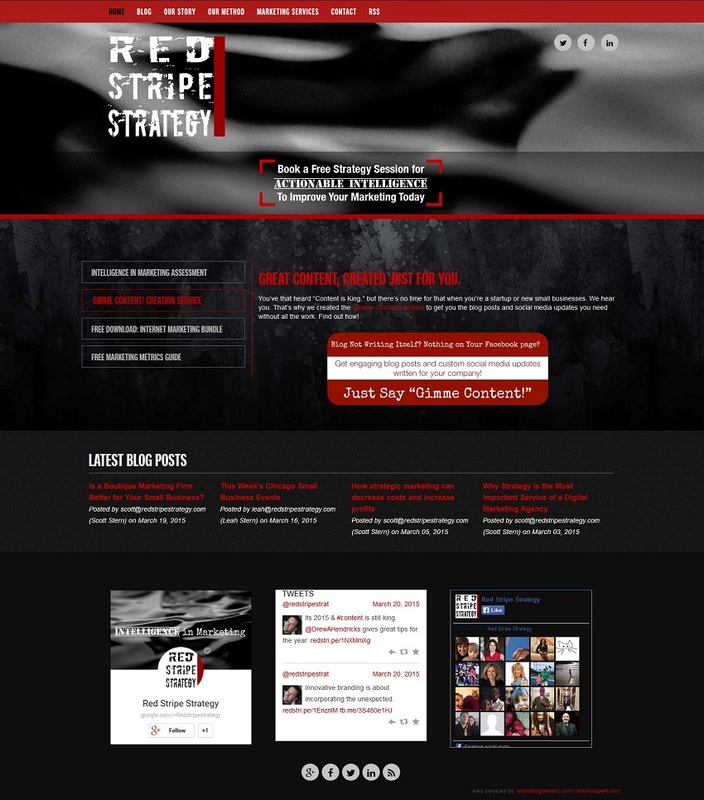 Red Stripe Strategy is a Chicago-based boutique marketing consulting agency for small and mid-sized businesses. They specialize in helping companies develop and implement an inbound marketing strategy in order to attract, convert, close, and delight customers. Inbound is a marketing strategy that emphasizes creating genuinely helpful, engaging, informative content that helps prospective customers solve problems. This requires a deep understanding of the type of customers that a company is trying to attract and the questions, concerns and objections of those clients may have. Red Stripe Strategy consultants help clients do this research and develop the buyer personas to encapsulate that information. That information in hand, Red Stripe Strategy manages the process of creating content, conversion paths (calls-to-action, landing pages, etc. ), and social media and email marketing.